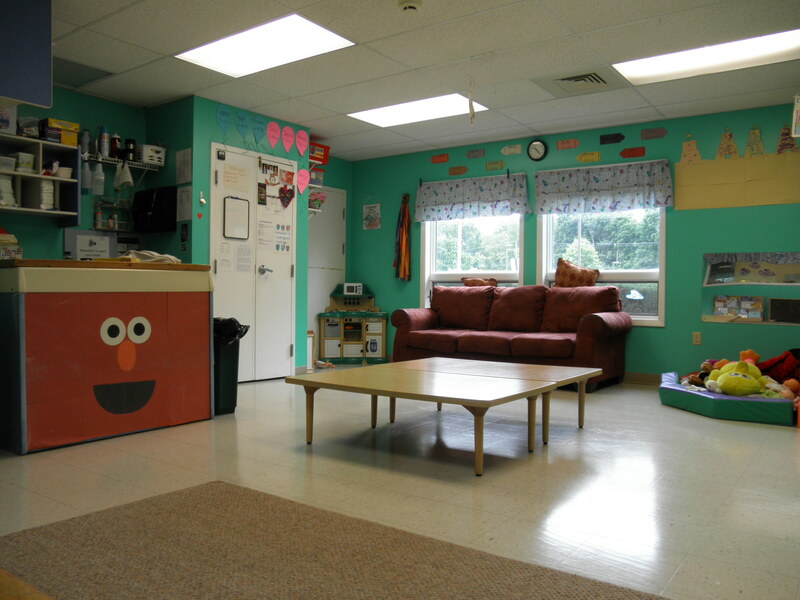 The Roxbury Day Care Center’s infant room is set up to be a warm, nurturing environment. Lesson plans are implemented daily to encourage the natural cycle of development. Lesson plans focus on every aspect of development including, cognitive, language, physical (fine and gross), as well as social/emotional. Because of the family oriented atmosphere, the children and parents are able to form a bond with the teachers, which help the children in reaching their milestones as they grow. Our teachers continue to receive training regarding all areas of an infant’s life and are able to implement this information into their everyday activities. The Roxbury Day Care Center’s young toddler room is full of discovery and exploration. At this time in a young toddler’s life, it is important to capture their natural curiosity and expand on it through interactive, hands on lessons. Our Green Team teachers create fun, interesting, explorative lessons that allow the children to develop early stages of language and emotional skills, which are necessary to develop age appropriate social skills. The teachers continue to expand each child’s physical development, as well, through gross motor games and fine motor activities.